The Chang’e-4 biosphere experiment which produced the sprouting of cotton seeds on the far side of the Moon has ended, according to scientists involved in the pioneering test. 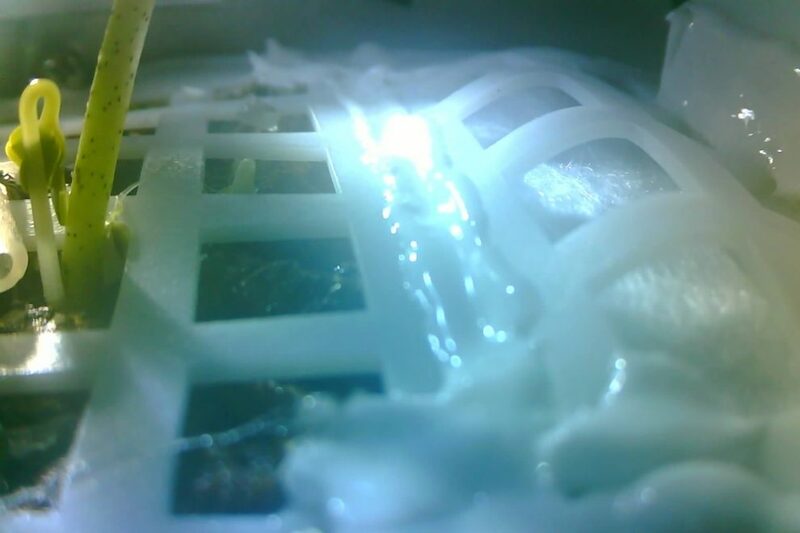 Images released on Tuesday and taken on January 7, show a sprouting of cotton seeds in the lunar canister within a 2.6 kg mini biosphere aboard the Chang’e-4 lander, with the development receiving global coverage. Meanwhile, sprouts in an Earth-based control experiment were shown to be evidently performing much better. The canister is aboard the Chang’e-4 lander which made its historic landing on the far side of the Moon on January 3, with the experiment initiated hours after landing. According to Liu, the experiment did not carry a battery and could not continue environmental control during the lunar nighttime. The lack of battery was possibly due to mass constraints for the mission and the lander’s own power demands.